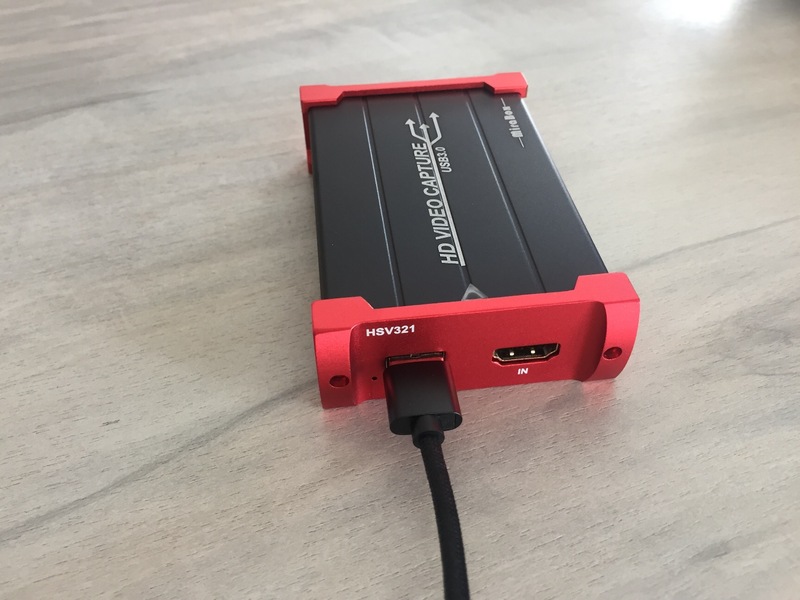 At ParsTV we use an Elgato video game capture card in situations where we are unable to use power at away grounds. Recently we had an issue with the Elgato interface on Vmix (recreating the configuration solved the issue). However I decided to look at getting a spare video capture device as well as potentially using it to connect two cameras. Just a reminder that you have to be very wary of all `legitimate looking emails coming in ! for example "yourdmain.co.uk" Warning: Verification Needed For email address"
Almost 5 years ago Nominet released the ability to have `yourname.uk` and if you had a .co.uk you had first choice of the domain name for example, I have `fife.co.uk` and I also recently registered `fife.uk`. When .UK was launched on 10 June 2014 the rights were reserved for many existing customers owning a .co.uk, .org.uk, .me.uk, .net.uk, .plc.uk or .ltd.uk to their equivalent .uk domain. I`ve been implementing and updating websites for some considerable years using the standard URL addresses for accessing content. I`d heard of the newer methods for enhancing the addresses in particular helping with SEO. SO it was time to look into how this is done. 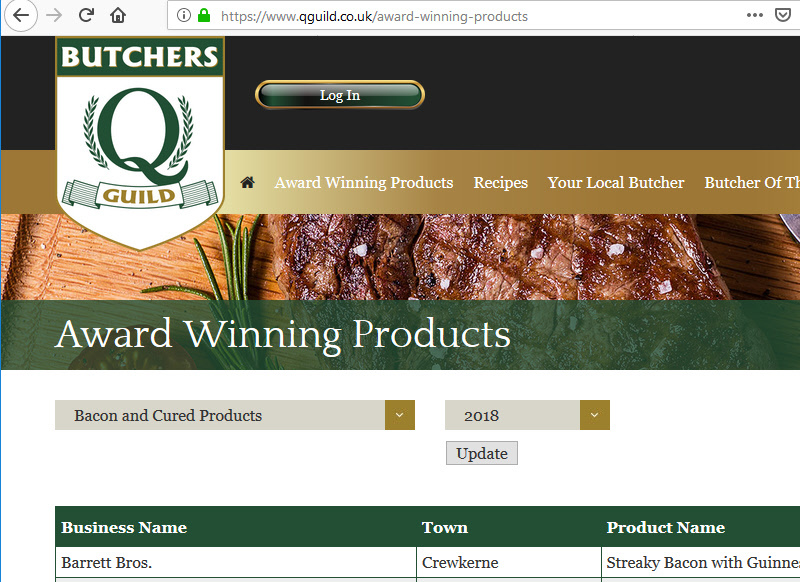 The image shown shows `award-winning-products` as the permalink address from [the Q Guild of Butchers ] website. Having reviewed the previous steps to build up a simple set of Ajax calls it became apparent that things were getting rather complex, with the complexity multiplying with further actionsthat needed to be added. To overcome this the commands can be combined into one ajax call with the command and data passed into it. So far we have seen a simple event occurring on a web page, an animated gif indicating some action is being taken and then some response returned and displayed on your page. Our next step will be to type in some data in an input box and respond to the data on each key click. In this example we wish you to type in a town name and validate it against ones in our list. Ajax is [A]synchronous [J]avaScript [A]nd [X]ML. Ajax allows you to update a section on your page without having to reload the complete page. You can dynamically check data with a simple set of functions. These functions send data to the server, get a response back and update the page with that information. Today I`m looking into using phpChart to create some graphs for some websites. I thought I`d take some notes while I did this. For example I have a Scottish Championship League table that would benefit from showing graphs. I was working on an Auction web site last year to try and help make it easier to auction items. I got sidelined on another task but I have recently revamped the site to help make it easier to use. The purpose of the website was originally aimed at Sportmen`s Dinner where there are a number of items to auction and the need to get out to a wider audience. Why not ask us for a free quote to help you get your website data collection procedures updated. Whether it is just a simpliefied online form or some complex data input to allow customers provide the information required. The forms are also able to print a unique barcode on each form. Overnight there seemed to be some data centre problems. Both servers were not accessible. The problem was eventually resolved by the the data center support team. Apologies for the short down time. If you need to install a later version of PHP on a fresh server then you can do so from another repo. SSL certifcates are now a must on a web site nowadays to ensure enhanced security. Hackers and spammers are everywhere and always trying to break into web sites. Security is now a prime factor when managing web sites. You don`t need to pay £50 - £100 for a certificate, why not get a low cost certificate from 2mx for £20 per year when you host with us. With the amount of hackers and spammers about today you would think that having a reasonably secure password would be the sane thing to do? Having the same password as the username is not very adviseable. It does not take hackers long to break into a system. Sadly, this has just happened to one of our clients on our server. Unfortunately this affects all users, for this we apologise for mail sending issues. We have over 100 domains under our control for a variety of clients. The domain Name is the means to using your web site or access email. Our three servers provide a cost effective means to manage your websites and email. We are members of Nominet and use JOKER.com for all other domain registrations for all you domain name needs. We joined Nominet in 1996 and have been involved in domain registrations for the past 21 years, almost as long as the internet was born ! It certainly seems to be the case that the attackes on web sites are increasing. Over recent weeks we have seen a number of attacks which caused the server databases to hang up. These attacks are multiple accesses to the web site attempting to break in. Fortunately we have been able to contain these attacks. Quite often I come across useful links related to web sites and servers. I`m listing them here for my benefit as well as info for anybody else.